Nothing makes you happier as an author than knowing that your work is appreciated by kids! 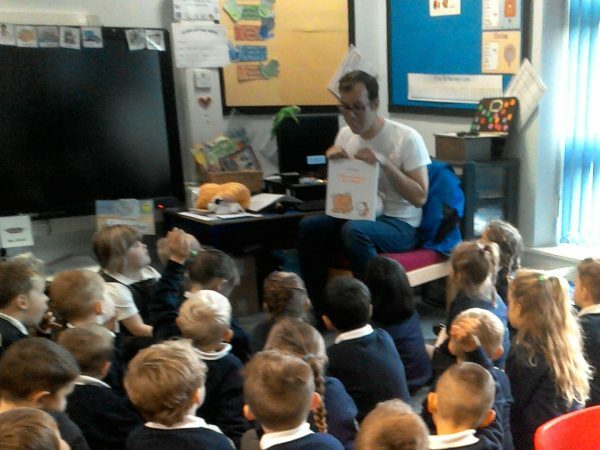 And following <World Book Day 2017 I received the most delightful email from Fiona, the mummy of a young boy I met on a recent book tour! 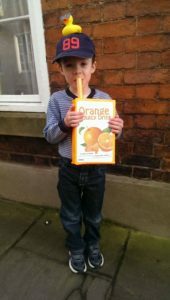 Freddie, from Chesterfield decided that he would dress up as the main character from my picture book, I Have an Orange Juicy Drink! He’s dressed in white, has his lucky baseball cap on, and EVEN has an elephant! Just like in the book! It’s no wonder he’s won Star of the Day at his primary school! What dedication! What commitment! What a cheery smile! It reminded me of another little chap named Seth who also managed to make a great costume for World Book Day! The whole thing makes me thirsty for a nice juicy drink myself!